We’re a friendly and knowledgeable bunch here at Sketch Architects and as such we will seek to gently guide you through the process of realizing your project. We will collaborate with you and communicate throughout the process to ensure that you understand exactly what’s happening with every stage of your project - from design through to completion. We have set out below an outline of the processes we’ll go through to complete your scheme. This is a brief description and is intended as a guide only to give you a better idea of the process and how we are involved. While we offer a complete design and project management service, some clients prefer to appoint us for only a number of these stages. We will discuss this at the beginning of the project and incorporate our level of involvement into the brief prior to appointment. 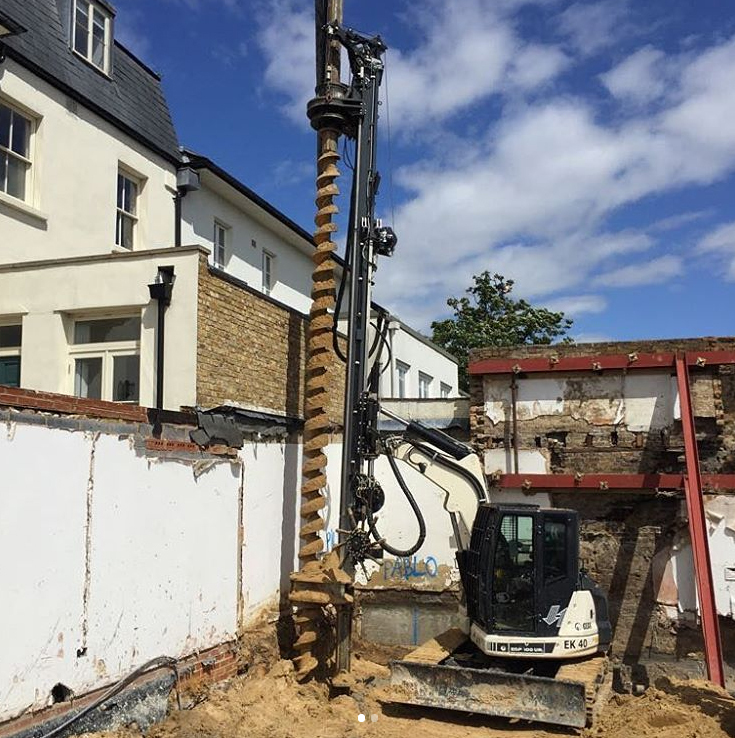 When you get in touch with us we will discuss your current property or site, your aspirations for the project, and your outline budget for the works. We will aim to engage with you in such a way as to open-up new ideas and inspirations that will help to inform the brief. These will be based specifically on your site and the opportunities it may afford based on our experience. Once we have had these initial discussions we’ll formulate the brief that will also include a further breakdown of the process, our level of involvement and our fees. We will also give you an initial idea of any potential external consultants that may need to be brought on board, ie: Structural Engineer, Mechanical & Electrical Engineer, Landscape Architect etc and be able to advise on any potential additional costs. Once appointed we will set about investigating the site in more depth. This includes a more detailed site visit to assess the current condition and its immediate surroundings, along with conducting a measured survey of the existing building or site if required. We will then get stuck into creating a number of sketch designs from which we will select the best options to present to you. We will produce: plans, elevations, sections and 3D models that best explain to you how your new building, extension or remodelling could work, along with material examples and precedent images. When you are happy with the design we will work with any appointed external consultants, if required, to submit your proposal to the local planning authority. Once a successful planning application has been achieved, we can then begin to realise your scheme in more detail. This requires us to produce more detailed plans, sections and elevations that demonstrate that the design is Building Regulations compliant and brings together all of the recommended external consultant information. It’s also at this stage that we will begin engaging with manufacturers and suppliers, who will provide additional information on materials and products etc. 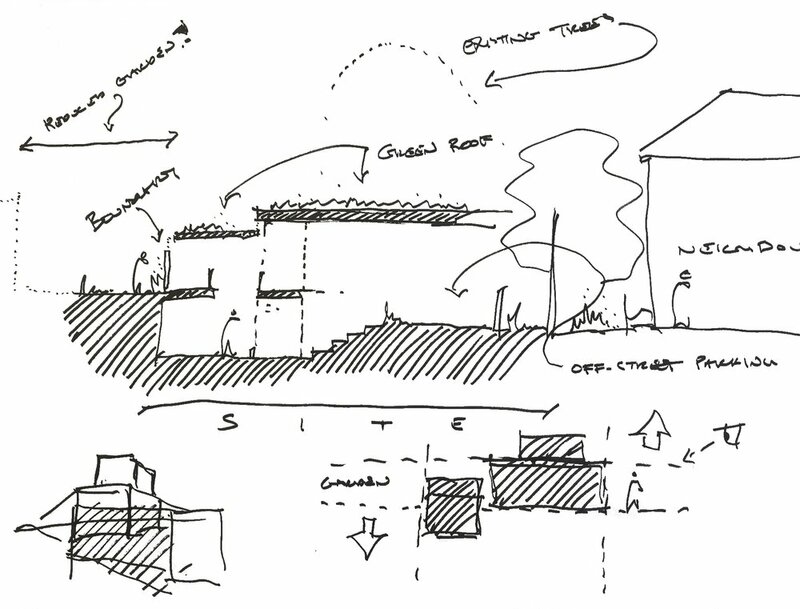 Depending on the level of our appointment, Sketch Architects can specify as much or as little of your project as desired - from the basics right down to the finest of details. Sketch Architects are able to guide your project through the tender process to the appointment of a suitable contractor, and ultimately to the point that you are ready to occupy the new space. We will help to explain all of the stages and requirements of the construction process, and if desired, we are happy to liaise with the contractor and suppliers to ensure that the quality of the concept design is achieved in the final building. When you contact us as a prospective client we may ask you for your name, telephone number, email address, the site address, your postal address, your budget, your project requirements, and any drawings that may be pertinent. We ask for this information so that we understand you, as a prospective client, and what you are wanting us to help you achieve. We may use your information as part of a statistical analysis, but we will never publish data in a way that identifies you. All prospective client information and communications are entered into our business systems as specified in our Data Protection Policy. Please note all calls with Sketch London Architects Limited may be recorded for training, security and monitoring purposes. We keep this information for three years from the date of final communication in respect of your latest enquiry, unless you ask us to destroy it before this time. Please contact our Data Protection Lead dataprotection@sketch-architects.co.uk if you need us to update your personal information. The Data Protection Act gives you the right to find out what information we store about you by writing to us. We are legally required to give you a copy of the information if you request this and we will make a small charge of no more than £10.